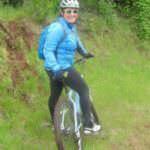 Plan Your TripAsk OregonOutdoor AdventureWhere are the best moderately difficult mountain biking trails in Oregon? Thanks for the question! One person’s definition of “moderate” can vary greatly than the next person’s. I would say that a good number of the trails in Oregon are moderate. I would recommend rideoregonride.com as a resource and also look for local bike groups in the areas where you want to ride. A lot of bike shops have regular group rides. Below are some of my suggestions for moderate trails throughout the state. There are a ton more. So let me know if you want some more suggestions. • Brice Creek Trail (Cottage Grove) – This trail does have some steep cliffs and roots, but with decent bike-handling skills, shouldn’t be a problem. The trail is a lot of fun and goes past some beautiful waterfalls. • McKenzie River Trail (McKenzie Bridge) – Parts of this trail, near Clear Lake, are diffiicult. However, the portion below Trailbridge Reservoir to McKenzie Bridge is intermediate/moderate difficulty. The trail is mostly clear of rocks and roots and there aren’t any major climbs, there are a couple of narrow steep corners. • Waldo Lake Trail (Oakridge) – Outside of Oakridge, towards Willamette Pass, is one of the purest lakes in the state with a 18 mile loop around. The trail has a few obstacles, but for the most part is considered moderate because of the length of the trail. I recommend waiting until late summer, to get in shape for the ride and to wait out the swarms of mosquitos that tend to last until mid August. • Alpine Trail (Oakridge) – Whether you get a shuttle up to the trailhead, or pedal up road 1910, this trail is fun with moderate difficulty as far as obstacles go. Make sure your brakes work, because once you get on the trail it’s mostly downhill. • Peterson Ridge (Sisters) This trail is on the easier side of “moderate” and offers great views of Cascades.